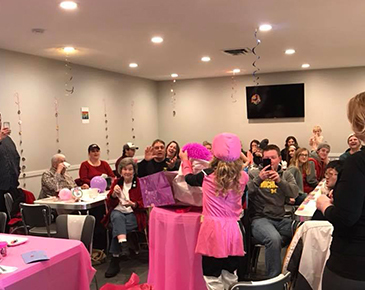 Party RoomBook Your Next Special Event With The Curley Cone! Host your next special event, birthday party or corporate meeting in our special party room! 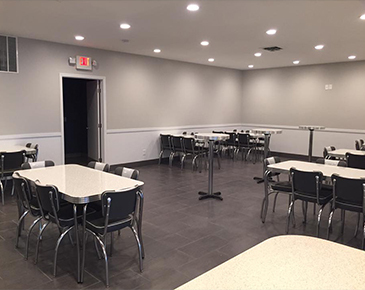 Booking the party room requires no rental fee, just a minimum $250 catering order plus 15% gratuity for our Curley Cone servers. You are welcome to bring in your own decorations and themed items. 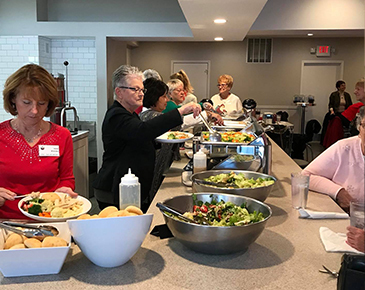 In addition, you can choose to order from our current menu or we can glaldy provide you with a special party package for custom food preparation, beverages and more! Meals include coke products, coffee, tea, water and a refreshing dish of vanilla, chocolate, swirl or lemon ice cream. We welcome you making your meal your own, so menu suggestions are welcomed.